McHenry Country Club will be continuing its tradition by hosting the 44th Annual McHenry Women's Invitational on July 16-17, 2018. The tournament format is 36 holes of stroke play with flights determined by handicap. Women amateur golfers age 18 and older and a handicap index of 26.9 or less are invited to play. McHenry Country Club is known as one of the finest courses in Northern Illinois. 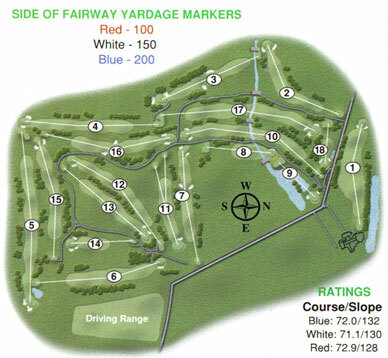 Its rolling terrain and challenging layout provide a fine venu for competative golf for players of all calibers. Championship flight historically draws some of the finest amateur players from Illinois and Wisconsin, with flights 1-6 offering spirited and friendly competition for players of similar playing ability. Spectators and early finishers are invited to watch the Championship Flight's afternoon play. Prizes are awarded for overall low gross, low net, and low put finishers for 36 holes. Flight prizes are awarded for low gross finishers for 36 holes and for the daily awards for low putts, closest to the pin, and longest and straightest drives. Players are treated to a friendly atmosphere and fine dining, with a continental breakfast each day, pasta bar following play on Monday, and the Awards Banquet immediately following play on Tuesday. Entry forms may be printed from this site, may be requested by e-mail, or by calling McHenry Country Club at (815) 385-1072.